Home » Should You Mix Press Releases Into Your SEO Plan? » digital marketing company miami » Should You Mix Press Releases Into Your SEO Plan? Although it’s highly possible that you’ve never utilized them, there’s a high probability that you’ve heard about the notion of Press Releases at some point in your career or simply in your life. In the SEO community a while ago, press releases used to be quite popular as a format and tool. But as somebody trying to get your site traffic up and improve your digital branding through SEO and digital marketing, you may be wondering- are press releases actually still relevant in terms of SEO in 2019? Is it really worth spending your time dealing with a press release, and will it pay off in SEO terms? In today’s highly digitized market, it’s is more crucial than ever to be able to rank high in search engine results in order to direct traffic towards your company website and blog, so that you can expand your potential clientele and customer base and stay on top of your competitors. SEO results and other digital marketing techniques are necessary in order to expand your brand and grow your business through directing potential clients and customers to your goods and services. So should you really be incorporating press releases into your SEO plan in order to produce maximum results? The short answer is that yes, you should be doing this. Press releases are still a relevant format when it comes to digital marketing, and not just for search engine optimization needs, but as a marketing technique in general. Unfortunately, there are many webmasters who are not able to totally grasp the concept and end up actually countracting any positive effects, producing results that can eventually hurt their websites. On occasion, press releases are able to have negative effects on the SEO of a website if they are not done the right way. This is why it may be in your best interest to have a top quality press release service do your press releases rather than wasting time and hassle trying to do it yourself while still not getting it right. Read on to learn more about how to avoid these mistakes and what you can do to use press releases to your best advantage in order to help your SEO efforts. MyCity Social is is a top digital marketing company in Miami who provides SEO services Fort Lauderdale business owners rely on. Call MyCity Social today for a consultation and grow your online presence to expand your business! So what exactly are press releases, and what are they used for? In order to figure out how press releases may help your SEO efforts and how to utilize them properly, firstly let us discuss the definition of press releases and the functions that they generally perform. Simply put, press releases are a way of distributing and announcing events to the press. Press releases are defined as “an official statement issues to newspapers giving information on a particular matter” by Google, and usually are delivered in a written format, but can also come in the formats of audio or video. Think about it this way- once an event has taken place or a company has some type of new development, it is critical for the parties involved to try and get the media’s attention as quickly and effectively as possible in order to deliver the news, promote their brand, and control their narrative. One major tool at their disposal for spreading the word and communicating their messager effectively are press releases. A piece of content is written that will then be distributed to news publishers who may be interested in order to spread your message and get the word out. Press releases usually follow a similar sequence of events: The event happens, the press release is written, the press release is spread to news publishers, news publishers pick up the press release, and the news is published. The hard part, however, is being able to capture the attention of the media, as it can be pretty hard to get the media’s attention. It’s even more difficult to be able to reach through to editors, as they are constantly being bombarded with news topics and pitches from various companies and sources from all different directions. Editors have to filter and curate the news that they receive in order to publish only what they consider to be the best, most interesting news. There are certain press release platforms such as HARO were created so that instead of sending your press release to news publishers, you are able to post the press release on one of these popular distribution platforms where reporters and news publishers regualrly visit in order to discover interesting topics. However, the problem with these platforms is that they often become a junkyard for spammers, causing media outlets to disregard your postings. Thus, there is a possibility that utilizing these platforms without a targeted strategy and without a press release service can actually harm your website. We will discuss how this can be the case later on in the article. Before delving into that topic, first let us take a peek at the details of how press releases, when properly done, can assist in your SEO strategy and bring you more traffic. Press releases can be quite beneficial to your overall SEO strategy. Being able to have information regarding your company or any news or events that your company is participating in published on big news sites is not only hugely beneficial for your brand, but also for your SEO. So how exactly does having your company featured in different media outlets end up helping you rank higher on search engines such as Google? For the most part when it comes to such concepts, it’s all about the backlinks. If news publishers begin to publish content that links to your site or just about your brand, you are able to not only receive backlinks from the news sites themselves, which hold a vey high amount of equity, but you are also able to score a large number of backlinks from other webmasters who will click through the news. For those familiar with SEO concepts, they will relate to the fact that building backlinks can be one of the most difficult tasks for SEO. Building high-quality backlinks to your site is an even harder job. Of course, there are risky tricks such as PBNs and you can buy backlinks as well, but it can be very difficult to accomplish all of this link-building naturally without using such tactics. Press releases are able to combine all of the three important elements that we mentioned above, making press releases one of the best link building methods available to those who are SEO savvy. You may be asking yourself- why? The answer is that press releases are able to assist you with building links quite quickly, and the resulting links that they help you build are high quality and are all totally organic, meaning that they won’t result in any penalties. If done correctly, press releases are able to help you rank higher in search engines through link building. However, if not done correctly, press releases can possibly result in penalties. While press releases are a fantastic way for speedily getting high quality links ni a natural way, when not done properly, press releases can become a total waste of time and can end up being harmful for your website. Most people get started writing press releases through researching press release tactics on the internet, and this will probably help you get on the right track. However, many people quickly figure out that it’s easier to get links from the press releases themselves rather than from the news publishers, since most news publishers end up ignoring their poorly written stories. Rather than focusing on news and events that are important, and improving their brand and business in ways that will organically result in interesting news stories, many webmasters end up distributing as many press releases as possible to as many press release platforms as possible en masse. While some platforms are free and get their income out of advertising so they don’t have any issues with posters coming onto their platform and posting poorly written “news,” such tactics may not actually help your SEO standings as much as a more focused strategy. Even the platforms for which you have to pay to post on will end up being filled with irrelevant ‘news’ articles. As webmasters are asking for hundreds of dollars just for a backlink or guestpost, press releases end up being a cheap way to help get someinitial backlinks. These posts that they utilize end up being way too long for a press release (since posters are thinking about how Google loves longer, meatier content as a general rule of thumb) and full of keyword rich anchor text links, whichnaturally attract penalties. In the way described above, the quality press release websites begin to drop, and very few companies and websites (one of them being HARO, as we mentioned above) are able to continue to keep their posting site relevant. The reason for this loss of relevance over time is due to the fact that they don’t index their press releases, and they are only available for logged-in users. This is why it’s so important to focus on strategic press releases rather than posting a press release only for the sake of getting a backlink. Through creating quality press releases, you will be able to more successfully attract the attention of a reporter who will be more likely to post your content and news, creating the backlinks organically that you wish for to help your SEO ranking. Another way to help your press releases and SEO content is through the usage of nofollow links. Some people may be wondering about the effectiveness of nofollow links and how they can help your SEO efforts. There are many ways that nofollow backlinks are able to help your website rank better, and one of these is when used on press release websites. You should use nofollow links only on the press release websites where you post your quality press release content. Since these sites index theri content on Google, any other links that you end up obtaining as a result of a successfully written and distributed press release will end up being a mix of both nofollow and dofollow links, depending on the internal policies of the websites that link to you. The reason that you should be using nofollow links is that nofollow links reduce most risks of penalty. Google doesn’t like it when you build or buy backlinks, and since links on press releases are either built manually or paid for, Google’s guidelines require them to be nofollow. Thus, nofollow links help you follow the rules and improve your standing with search engines. For the forseeable future, publishers will always be in need of news topics, and it’s important for companies to push their news out in order to gain attention to their brand. Press releases, when done in a focused strategy such as by a premium press release service like MyCity Social, are able to start a chain reaction not only through backlinks, but also with social media likes, shares, and comments. MyCity Social is a top digital marketing firm in Miami who provides SEO services Fort Lauderdale business owners rely on. Call MyCity Social today to start expanding your brand! 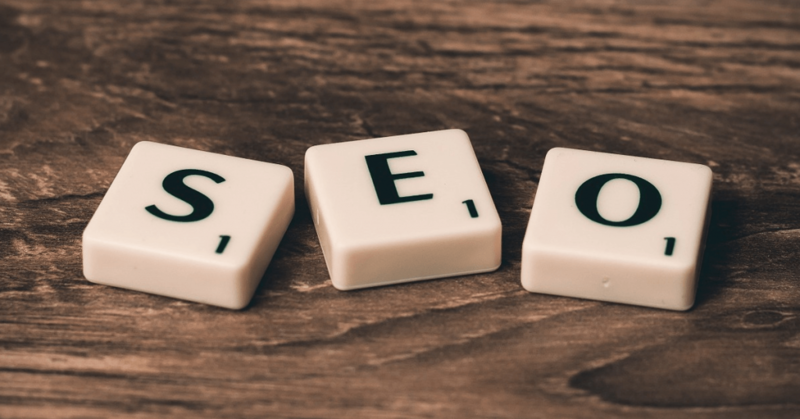 April 8, 2019in digital marketing company miamiby MyCity SocialComments Off on Should You Mix Press Releases Into Your SEO Plan?